If you want to make your pledge to SsAM for 2019, you can use this on-line form. Please fill out this pledge form and click “SEND” when done. You will receive an email response from the church office. We are grateful for all the gifts I/we have received from God. Optional Stretch Gift: If there is a specific ministry you would like to support in the coming year with an additional donation, please prayerfully consider a stretch gift to SsAM in the coming year. 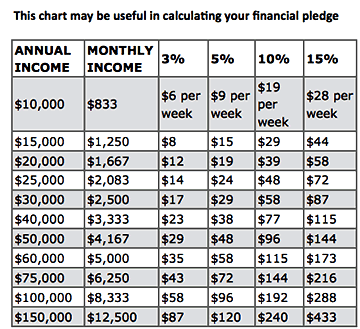 I/we want to make an additional pledge of $ dollars select frequencyweeklymonthlyonce a year to SsAM in 2019. To submit the form, click the “Send” button above. You will receive an email response in the next week from the church office. If you do not, or have questions or comments, please click here to contact us.